Sometimes drains clog or supply pipes leak, freeze or burst requiring repair or maintenance. Your water supply pipes may have problems that limit water pressure, impacting everything from the quality of your shower to the reach of your lawn sprinkler. If there is a hidden water leak it can impact the integrity of your whole house. This is why leak detection is a skill and an art form which can help you save money in the long run. We will have a technician on location as fast as is humanly possible while trying to help you over the phone. 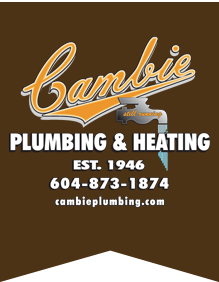 With years of experience in helping to avert disaster, and an excellent reputation for being there for our customers in emergencies, you can rely on Vancouver’s Cambie Plumbing to help you with a level of service that is second-to-none. Vancouver’s Cambie Plumbing can help with all frozen pipe issues from repairs of burst pipes to thawing problem pipes and helping to limit damage.